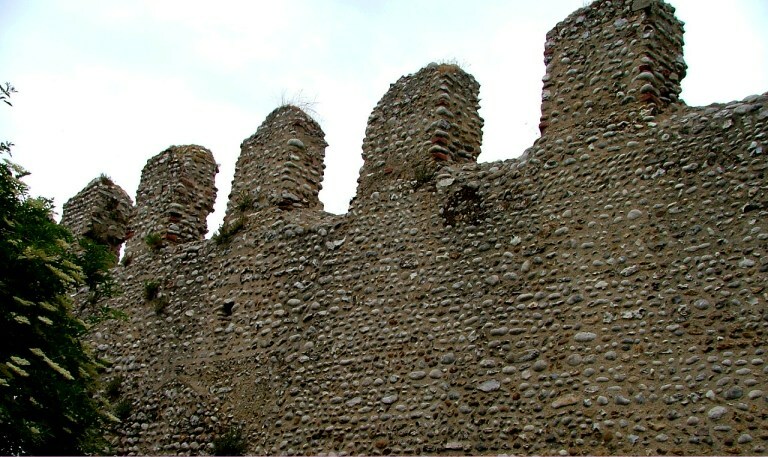 Weybourne, by tradition, sits at the point of the least easily defended part of the English coastline. 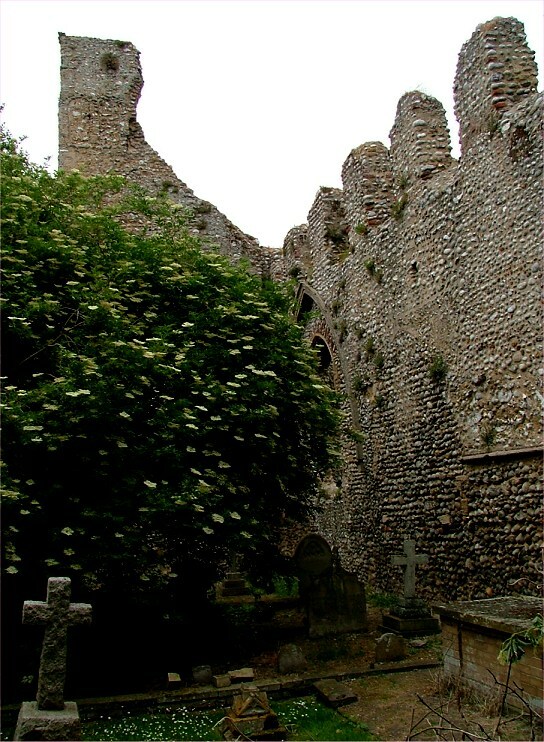 There has not been a successful mass invasion of the Kingdom for nearly a thousand years, but the legend is that, if one ever happens, it will happen here. 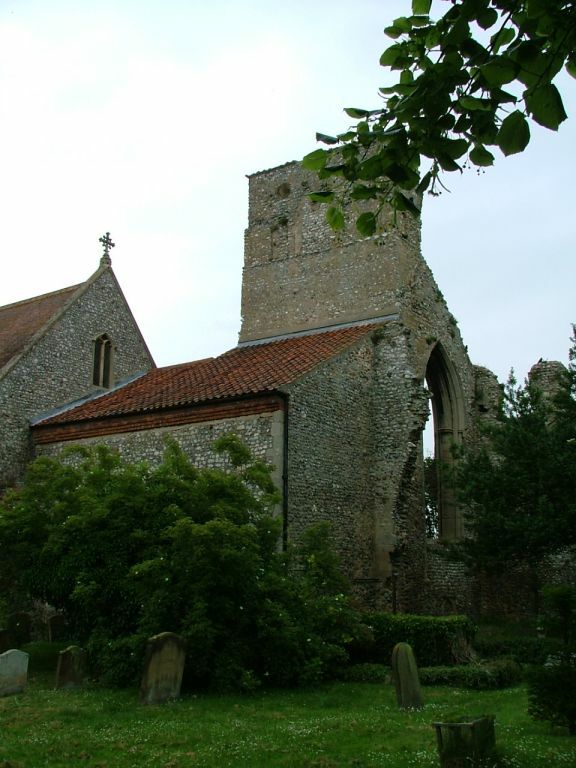 Of itself, All Saints is by no means the most exciting church on the Norfolk coast, but it intrigues because it was the church of a major Priory, and remains of the Priory buildings survive to north and east. 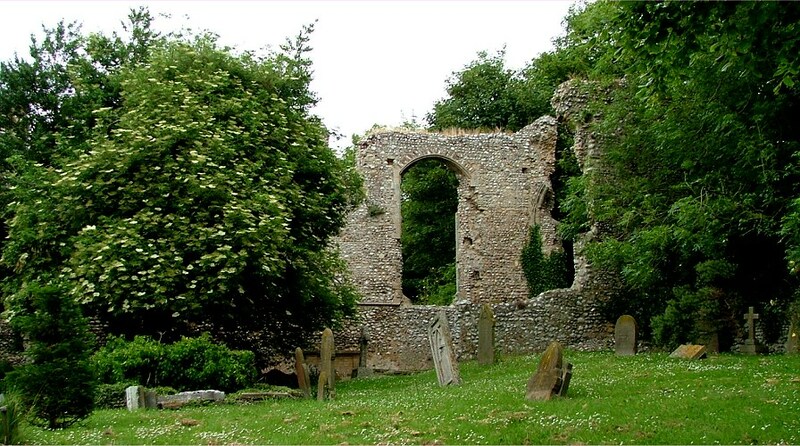 Even more interesting, the 13th century Priory swallowed an earlier Saxon cruciform church, and the remains of the tower of this church can still be recognised to the north of the modern chancel. 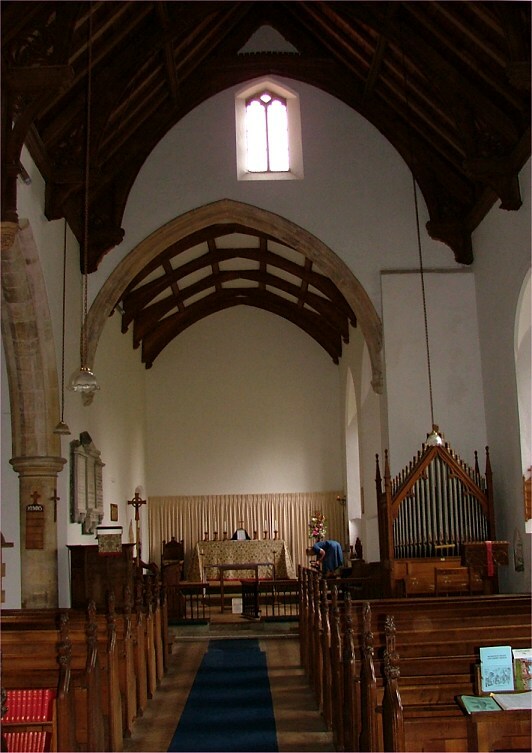 The north aisle of the present church is on the site of the Saxon church; the arcade between the current nave and this aisle is set in the south wall of the Saxon church. 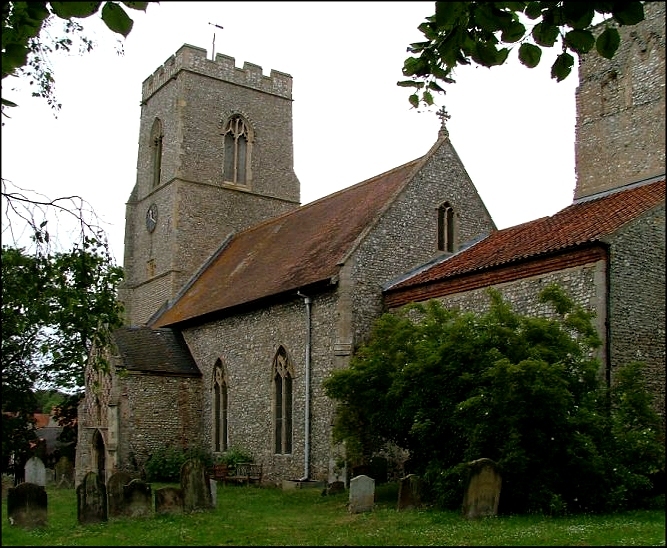 All Saints suffered the attentions of Herbert Green, I am afraid, and consequently the character of the interior is rather dour, and middle-brow Victorian. 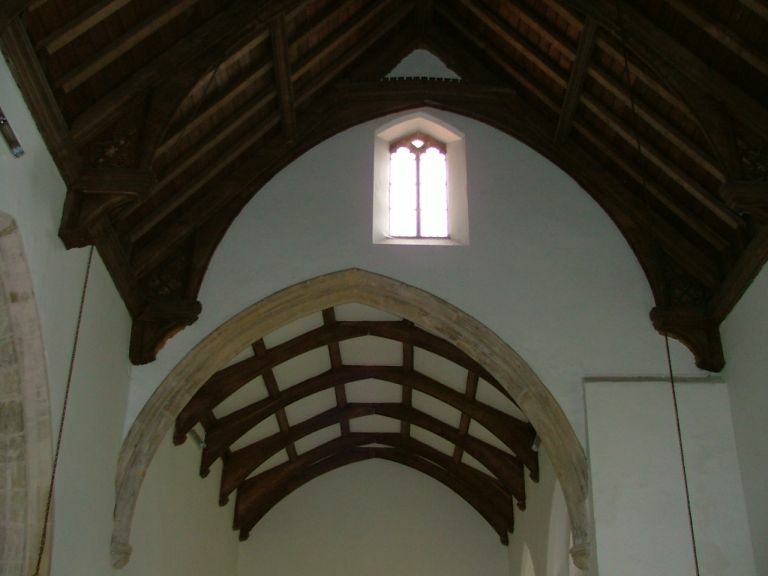 However, green thought highly enough of the late 15th century hammerbeam roof to reinstate it after rebuliding the south wall. 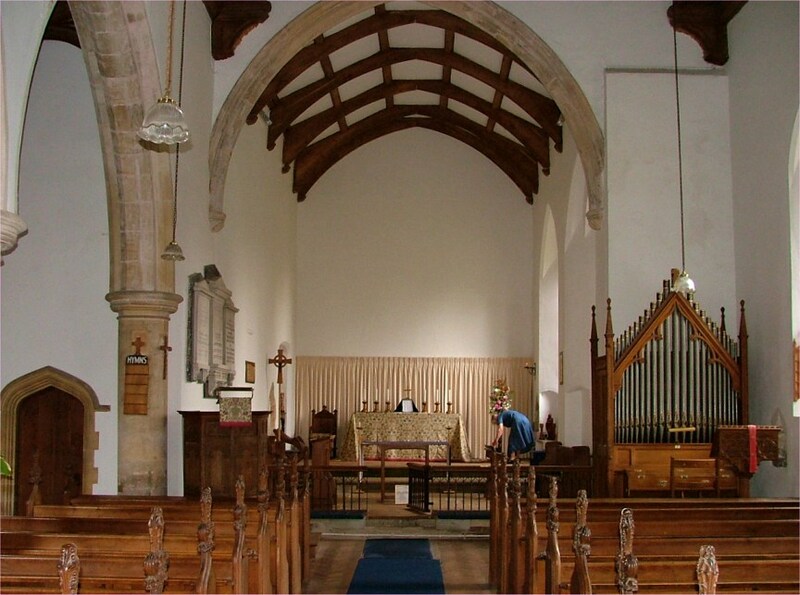 The great curiosity is the off-centred chancel arch. 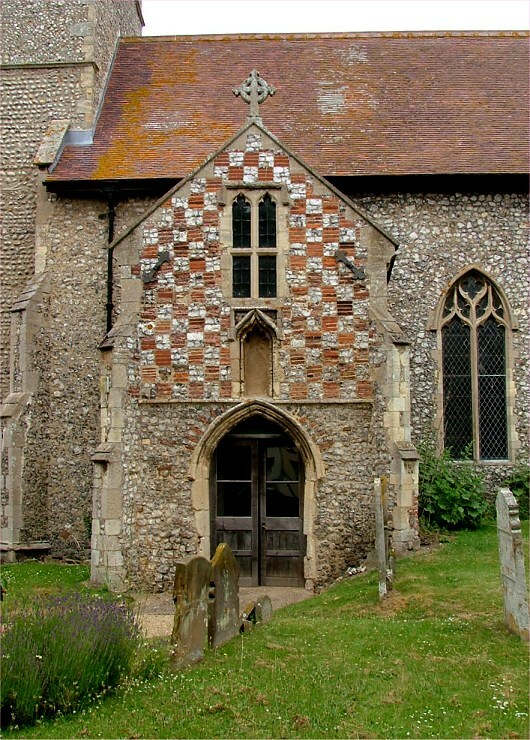 Pevsner suggests that this is because the 14th century parochial chancel was improvised from the east bays of the monastic nave, which was set slightly to the north. 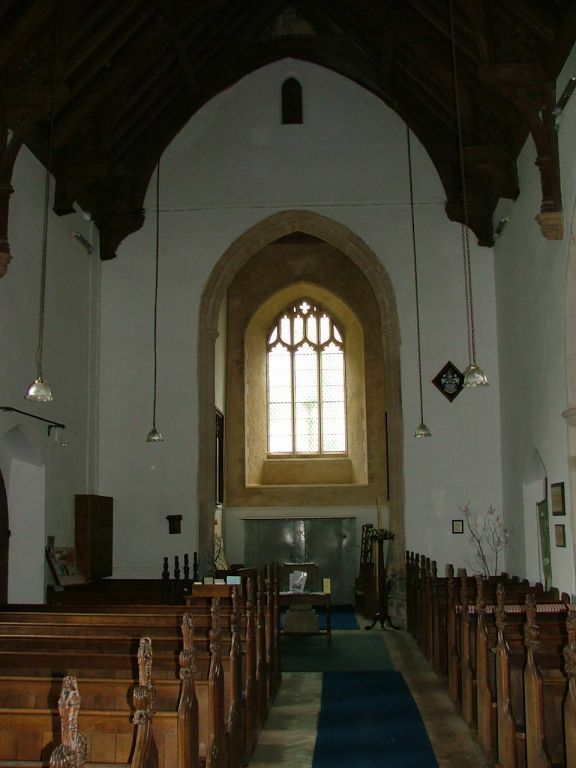 It is very odd to look at, especially given that there is no east window - it appears as if it is some kind of ante-room, tacked on to the body of the church. 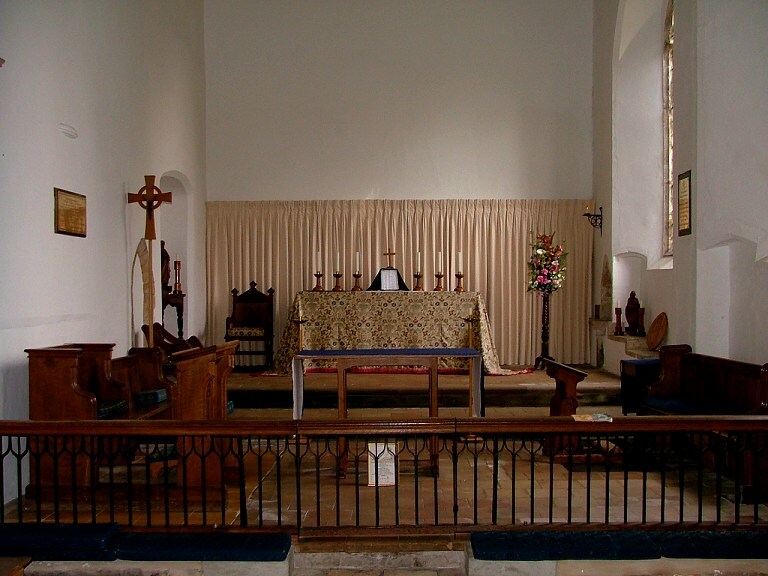 It is saved by the simplicity of its furnishings, which makes it very attractive. 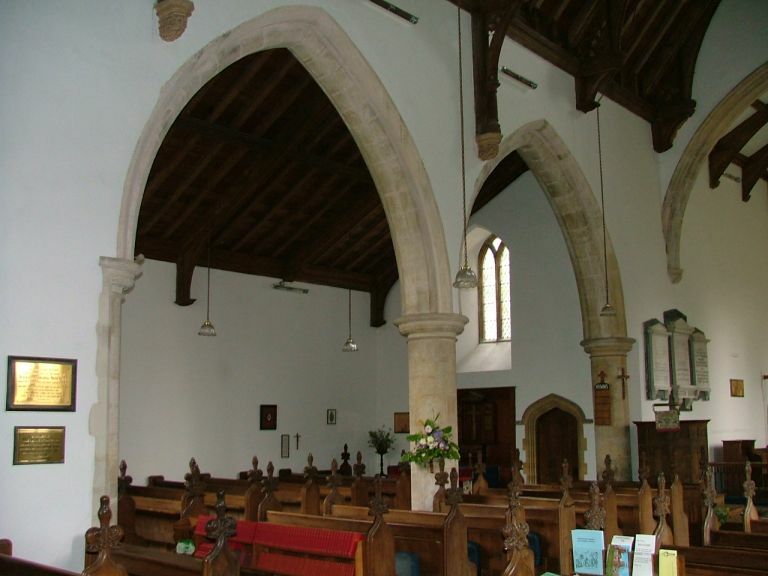 The north aisle was designated as a war memorial chapel after the First World War. It is also pleasingly simple. 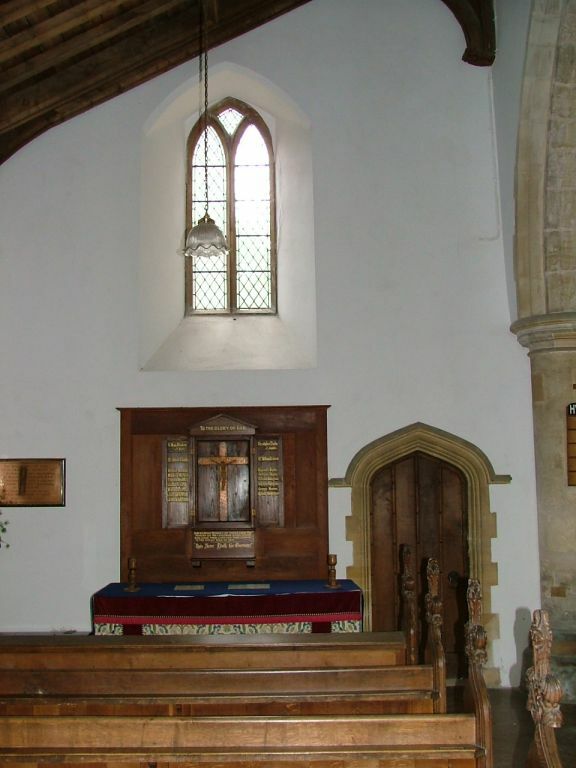 The door leads through into a 19th century vestry that Herbert Green built in the base of the old tower. 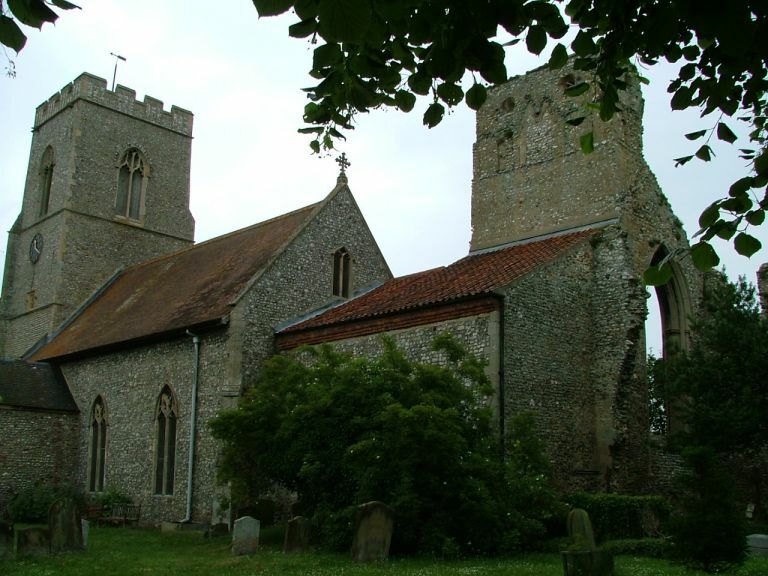 Now, this is a fairly remote church serving a small coastal parish, and rather overshadowed by the glories of some of its neighbours. 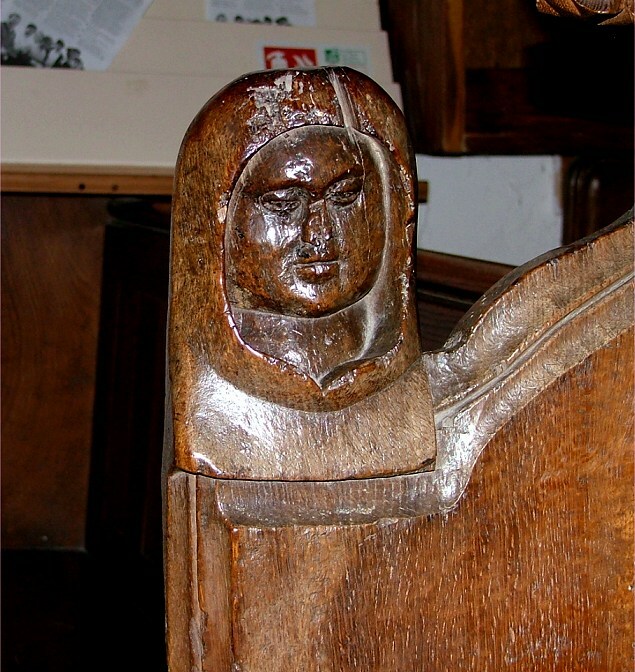 An old bench end has on it a cowled female head who witnessed the glory days here, and almost alone survives to tell the tale. 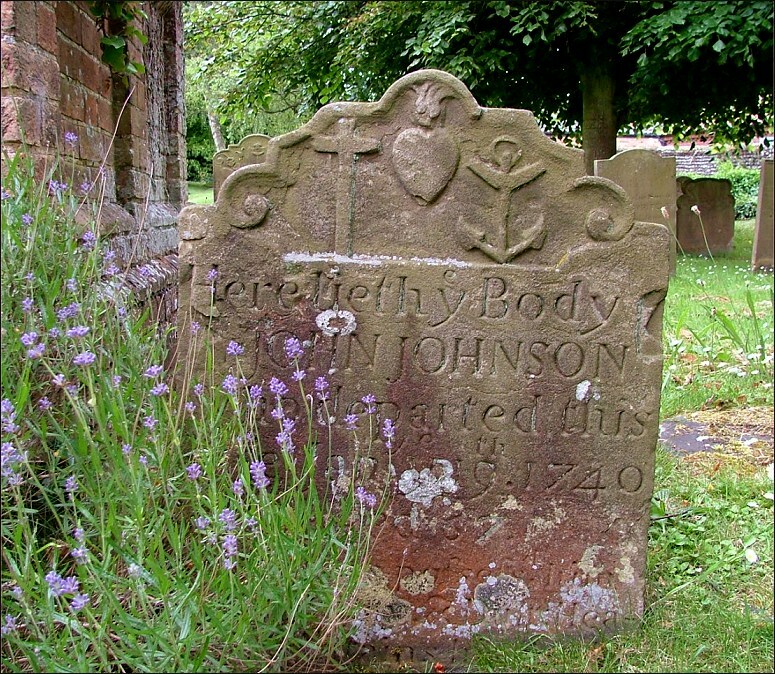 Outside again, I thought how pleasing the flint and brick chequerwork of the porch is, and was also pleased to find a fascinating early 18th century headstone. 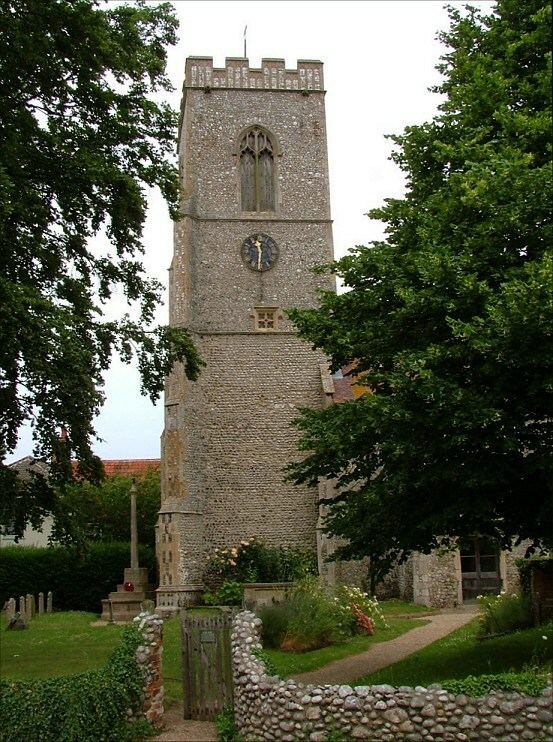 As we are on the coast, you might assume that it is something to do with the sea - in fact, this is a popular 18th century representation of Faith, Hope and Charity. More familiar from major metropolitan memorials, it was good to see it done so rusticly here.